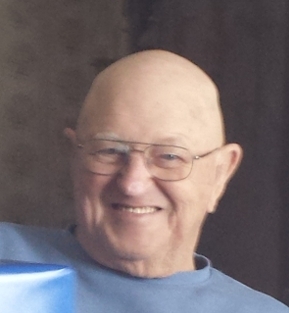 Wade Eugene Feather, 82, of Middletown, MD passed from this life at his home surrounded by his family on Sunday, February 3, 2019. Born on March 1, 1936, in Cuzzart, WV, he was the son of Samuel Wade Feather and Dora Mae Fike Feather. Wade was an independent truck driver most of his life and competed in truck rodeos nationwide. He was an avid sports fan who never missed an Orioles game or Nascar race. Wade loved to go out to eat with his family and in recent times his favorite thing was going to Sam's Club for a hot dog and soda combo. He was a fun and kind hearted man, a jokester who loved to pick on his grandkids, really anyone he could. Wade touched the lives and hearts of everyone he knew and will truly be missed. Wade is survived by wife, Grace Toms Feather; daughter Linda Grove and husband Tony; son Michael Wade Feather and wife Debra; Grandchildren Heather Hunt and husband Justin; Elizabeth, Troy and Jarrett Grove; and Brandon McKenzie; and Great-Grandchildren Alexis McKenzie and Elliott Hunt. In addition to his parents, Wade was preceded in death by a grandson, Kenneth Michael Feather. As per Wade's last wishes there will be no visitation or funeral services. In lieu of flowers, donations may be made to Hospice of Frederick County, PO Box 1799, Frederick, MD 21702.